Made of cowhide leather, these ethically sourced wildlife area rugs are a superb way to make a grandiose impression on any room. The warm, snug colors showcased on each flatwoven design transform any room-setting of your home into a truly inviting environment. Each piece ensures quality, durability and lasting beauty because of the felt backing used. These urbane patterns are highlighted with dimension and depth that truly adds to their decorative appeal. Perfect for cabins, entryways, living rooms, and even in front of the fireplace, Chalet area rugs are a great choice for chic, indoor environments. 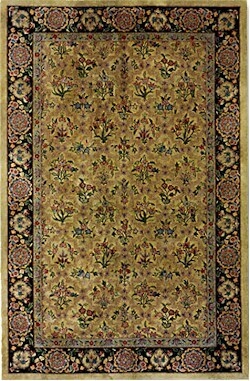 Couristan area rugs are a superb way to make a grandiose impression on any room. The warm, snug colors showcased on each design transform any room-setting of your home into a truly inviting environment. Each piece ensures quality, durability and lasting beauty. Inspired by the antique rugs found throughout Morocco, the Quixote Collection is a modern take on this traditional trend but a bit more casual in feel. Hand-woven in India with a flatweave construction utilizing a kilim technique, this collection is made from blends of wool, and also features a tasseled edge, setting a cultural and worldly foundation. For a relaxed-casual look that instantly creates an atmosphere of welcoming fun, the Bar Harbor Collection delivers a cheery array of striped designs that infuse any interior with a refreshing verve. Perfect for homes with a coastal living design influence, these bright and bold fashions add an exciting pop of color that enlivens spaces and brings a sense of charm. Freshen up the look of your home with Couristan's whimsical Goa Collection. This collection brings you a fashionable assortment of three hand-stitched mat designs in a natural color palette that will easily complement any home decor. Hand-crafted in India with intricate weaves, these charming accent pieces feature the finest 100% Jute fibers that help absorb water, dirt and moisture. Fall in love with the vintage exquisiteness of the Zahara Collection, a line of classically styled area rugs designed for today eclectic lifestyles. Face-to-face Wilton woven of 100% heat-set Courtron polypropylene, these intricate masterpieces can be considered practical pieces of art, durable enough to be enjoyed in almost any area of the home. The traditional color palette found in Zahara area rugs, including oatmeal, red, black and light blue, have been selected to stand the test of time and adorn your floors for years to come. Designed with today's busy households in mind, our indoor-outdoor rugs showcase versatile floor fashions with impressive performance features that add to their everyday appeal. Because they are made of the finest 100% fiber-enhanced Courtron polypropylene, our indoor-outdoor area rugs are water resistant and can be used in a multitude of spaces, including covered outdoor patios, porches, mudrooms, kitchens, entryways and much, much more. Designed with today's busy households in mind, the Covington Collection showcases versatile floor fashions with impressive performance features that add to their everyday appeal. Because they are made of the finest 100% fiber-enhanced Courtron polypropylene, Our floral area rugs are water resistant and can be used in a multitude of spaces, including covered outdoor patios, porches, mudrooms, kitchens, entryways and much, much more. Paying homage to nature's purest pleasures, the Outdoor Escape Collection is Couristan's newest addition to the weather-resistant area rug category. Offering picturesque renditions of various outdoor scenes, these durable performance area rugs have a novelty appeal that is perfect for complementing themed decor. Indulge in comfort and glamour with Couristan's dreamy Clinton Hill Shag Collection. This eternally chic area rug collection has a generous and luxurious shag pile that creates an incredibly plush underfoot warming up the coldest floors, featuring a table-tufted construction for added depth and texture. For 92-years, the Couristan brand has been revered as an icon of style and quality for its exquisite area rugs. Featuring an innovative blend of natural fibers, including jute, cotton, straw and grass, these durable flatwoven area rugs are hand-loomed, adding even more unique appeal. Lightweight and versatile, these casual area rugs can be used in a multitude of spaces as a subtle accent to other artisan-crafted elements of decor. Hand-crafted of the finest undyed and natural wools, the Super Indo-Natural Collection by Couristan offers the perfect decorating solution for those who are looking to add a breadth of comfort and relaxation to an already casual interior. For decorators looking to infuse their interiors with a sense of soothing style, Couristan's Anji Collection offers the perfect solution. Hand-loomed of 100% hand-spun bamboo, these silky-soft area rugs have an eco-chic appeal that also feels incredibly luxurious. An all-natural fiber, hand-spun bamboo is lavishly soft as well as durable and is widely considered one the best renewable resources in the "green" category. Hand-crafted in India with intricate weaves, these charming accent pieces feature the finest 100% Jute fibers that help absorb water, dirt and moisture. Jute is a natural fiber that is biodegradable, providing this collection with an eco-friendly chic appeal. Ideal for kitchens, entryways, placed under small coffee tables and more. For over ninty years Couristan has been the trusted name in the floor covering industry offering a vast assortment of exclusively designed power-loomed and handmade area rugs, as well as, quality residential and contract broadloom. The business began in 1926, with the import of handmade area rugs from Persia and is still owned and run by the Couri family. Today, Couristan is known for having the most exquisite power-loomed and handmade floor coverings available anywhere in the world. Couristan's power-loomed area rugs offer beautiful, distinctive designs at a great value. Our power-loomed rugs come in a vibrant and diverse selection of colors, designs and patterns made from natural fibers like New Zealand Wool, as well as synthetic blends. Collections range from traditional to contemporary, from novelty to natural textures. Handmade area rugs are like works of art. Couristan's handmade area rugs have extraordinary detail and elegance in unique motifs including antique-washed looks, traditional, deeply contoured Orientals and fashionable open field area rugs with intricate borders in brilliant hues. Since the 1950's, when the company entered the broadloom market, Couristan has remained the undisputed leader serving the residential and hospitality industry, with the experience, skills and production capability to handle even the most complex and demanding projects. Styles range from traditional florals, to classic Oriental and Persian designs, to neutral colors with distinctive textures. In 1991, Couristan launched its division of licensed area rugs and has become the most recognizable name in the floor covering and home furnishing industries. Today Couristan's colorful, innovative area rugs highlight the hottest brand names and licensed properties available, including Forbes and Joseph Abboud. Our vast assortment of roll runners provide endless decorating possibilities for the home. Couristan is one of the few carpet manufacturers who carry 31" and 36" wide roll runners for more decorating potential, as well as the standard 26" size. In addition, roll runners coordinate with Couristan's best-selling collections of area rugs.